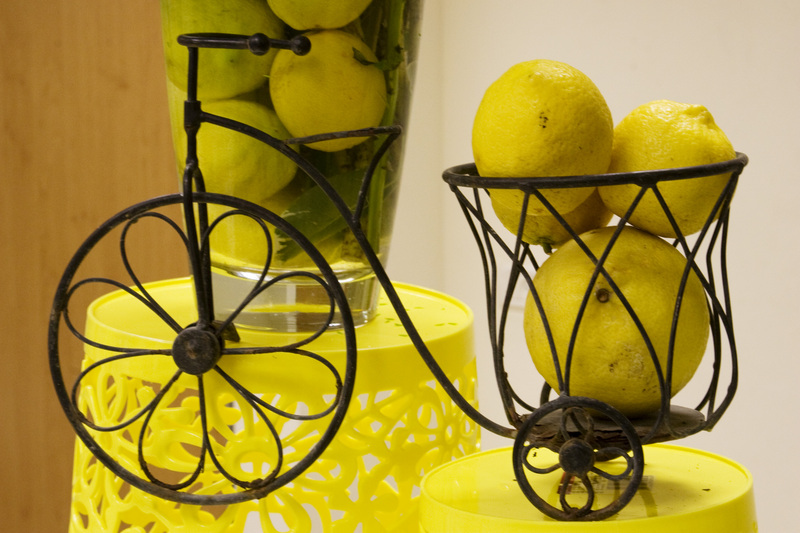 We at the Lemonade Fund often see how cancer can devastate a family financially in no time. E., a 73 year old Russian immigrant, lives with her unmarried daughter in a small apartment in a development town in the south. Until E. was diagnosed with Stage 4 breast cancer, the salary from the daughter’s factory job supported the two women. Subsequently, E.’s daughter lost so much time from work caring for her mother, accompanying her to doctor appointments and treatments, that the family slid into financial crisis. Despite assistance from Bituach Leumi, (National Health Insurance,) eviction was a possibility. The Lemonade Fund awarded E. a generous grant, and E. and her daughter can breathe again and turn their focus back to E. and her health. We are, as ever, grateful to all of our donors, who help us make this kind of assistance possible. M. and her husband, a gentle couple in their mid-sixties, recently made aliyah from South America. Despite their limited Hebrew, they found jobs and were doing well. Within the last year, M.’s husband was laid off from his job and M. discovered a lump and was diagnosed with breast cancer. Due to the side effects of chemotherapy, M. cannot work and the couple is now living solely on M.’s husband’s unemployment benefits. They’ve slid from solvency to financial crisis and they are feeling desperate. The Lemonade Fund was created for just such situations – and a Lemonade Fund grant was awarded to help tide them over and alleviate M.’s financial stress so she can focus on getting well. H. has had a hard life by any standards. Yet she is proud and not accustomed to asking for help. She is a widow, living alone in the center of the country, suffering from mental illness and now breast cancer. She was orphaned at the age of 5 and was subsequently raised by various adults who mistreated her. When she was 29, her husband was killed in a car accident, leaving her to raise her two young children alone. She continued to work and support herself even after a diagnosis of schizophrenia. She has helped her daughter, who was also diagnosed with cancer, as a young mother. H. lives in a dilapidated flat without an elevator and is now quite ill from her treatments. She needs help with shopping, cooking and cleaning while she is so weak, but she has no extra money. Her social worker urged her to apply to the Lemonade Fund, and we were happy to award H. a grant to pay for some extra help. We wish H. (and her daughter,) a full recovery. B., 53, from Sderot, is very ill. She has breast cancer that has metastasized throughout her body, and she will probably stop all treatment soon and enter hospice. Her only income comes from Bituach Leumi (National Insurance) and amounts to NIS 4300/month. The family has decided to move up B.’s daughter’s wedding and has requested assistance with buying B. a dress for the wedding. The Lemonade Fund awarded B. a grant to help her family with this request. We wish B. and her family a mazal tov and we wish B. peace in the days to come. P., 33, is an immigrant from Romania living in a town north of Tel Aviv. She was recently diagnosed with breast cancer and is undergoing chemotherapy treatments to shrink her tumor prior to surgery. After surgery she will need radiation treatments. P. is divorced with two young children, ages 4 and 7. Her older child is severely autistic and needs extra help, and P. can’t rely on her ex-husband or any extended family. P. told her social workers that she is concerned about money because she had to take a leave from her job as a kindergarten teacher due to the side effects of her treatments. Until now she made ends meet with her income and alimony, but without her job, money is very tight. Bituach Leumi will hopefully provide her with some benefits, but approval takes time, and P. needs help now. The Lemonade Fund awarded P. a grant to help her during this critical time, so she can hire extra childcare and focus on getting well. Another way to help: The Lemonade Fund is currently providing two young single mothers who are in treatment, in the Sharon area (Raanana and Kfar Sava,) with a Shabbat meal once a week, on Fridays. The commitment is to provide one meal to one of the mothers, no more than once every four months. If you are interested in signing up, please write to: info@lemonadefund.org. Thanks! Women’s Health Awareness Event (in English) Monday, May 12, 2014. Come to Lemonade Fund’s Women’s Health Awareness Evening (in English) to hear about the latest controversies about screening. O., 37 years old, married with five children, ages 2-14, from the south. Recently diagnosed with breast cancer, O. had to take a leave of absence from her job as a kindergarten teacher while she undergoes chemotherapy. Her husband has had to take significant time off from his job to help care for O. and their children, and they are beginning to have trouble paying their bills. The Lemonade Fund was created to help families such as this; families that are hardworking and solvent, but who are pushed into financial crisis due to serious illness. It is our hope that our grants assist families with these temporary hardships while they recover physically, until they can get back on their feet. D., 30 years old, separated with two children, ages 2 and 7, from a city in the south. Her disease was diagnosed at an advanced stage and D. is getting chemotherapy to shrink her tumor prior to having surgery to remove it. After this she will need weeks of radiation treatments. Unfortunately, D. has no contact with her extended family and she gets little help from her former husband. She needs extra help and is now in severe financial distress. One of the things most important to D. is that she wants to be sure that her son, who recently started first grade, has enough clothing and books for school. The Lemonade Fund awarded D. a grant and we pray for her recovery. The Lemonade Fund is also now, thanks to amazing volunteers, supplying home-cooked meals to two single Mom’s in the Sharon area who are having chemotherapy. We are a simple charity. Money that comes in goes directly to women who have passed the application process. Apologies that we do not have fancy printed material or events, but know that the money that you donate goes straight to our recipients. Breast cancer in Israel is now striking 1 in 7 women. Please help us help these women. And best wishes for a healthy, meaningful Passover! 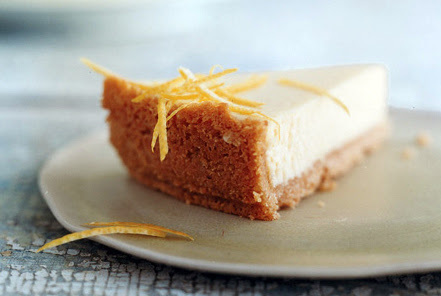 cooks’ note:Cheesecake can be made 2 days ahead and chilled, loosely covered. The Lemonade Fund is sharing this story to raise awareness that though quite rare, 1% of breast cancer strikes men. Men need to be alert to any lumps or changes in their chests. Y., is a married, 39-year-old mother of four from the center of the country. She was just diagnosed with recurrent breast cancer, this time in the form of metastases to her lungs. To make her story that much more difficult, her oldest son was just diagnosed with leukemia. Her husband, who works in a correctional institution, has exceeded his paid family leave benefits and is now on leave without pay in order to care for his wife, his son and his younger children. Though formerly solvent, this family has been pushed into financial crisis due to the impact of serious illness. The Lemonade Fund, aka, the Israel Breast Cancer Emergency Relief Fund, was created in order to help women like Y., and their families, and we awarded them a Lemonade Fund grant to tide them over during this difficult time. The Lemonade Fund is a grass-roots organization with virtually no overhead. More than 90% of the money donated to the Lemonade Fund goes directly to grants. We are able to do because of a conscious decision to keep things this way. Though we are an official, registered Israeli charity, we have no fancy offices, brochures, etc., – just direct requests for your help. Please consider donating to the Lemonade Fund so we can continue this important work. (Donations will receive tax deductible receipts.) Thank you.